How To Delete G Cloud Account :- G Cloud is an online app and website that provide service related to storing and restoring of your smartphone and computer data on the cloud server. The website let its users to create and edit account information, store or restore your data to online cloud storage service, shares your storage data with friends in just few clicks of buttons and play your media files like sound and video direct from the storage. We have recently received a lot of requests from users that they would like to delete their account from G Cloud Service. When we studied about this topic that why users are deleting their account from the website we figure out that most of the people who are deleting their account from the website are receiving mails from company like promotional offers or newsletter which is making their mailbox look spammed while other members says that they are using other backup service to store and restore their data so want to delete their account from G Cloud Website. If you are deleting your account just because of their newsletter or mail you can either mark the mail as spam by clicking on spam button given at top of your mail button or unsubscribe the mail by clicking unsubscribe link given at the bottom of the mail. If your reasons are other then i will guide you step by step method on how to delete your subscription from G Cloud website. 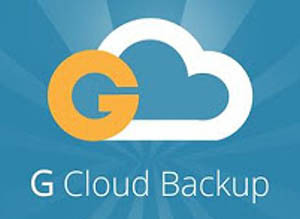 G Cloud website was developed by Genie9 LTD and currently it is one of the best online data backup services that can be accessed worldwide. As per source currently there are more than 1.39 million users accessing the website on monthly basis. Note: Before deleting your account from G cloud you have to unsubscribe their premium service if you are a paid user off-course. If not then follow the delete method mention below the unsubscribe method. Now write an email regarding cancel your subscription with a reason that why you are unsubscribe from their service. Once done send the mail and wait for at least 48 hours for the company to respond your mail. Once you unsubscribe from their paid service follow the URL “https://gcloudbackup.com/Account/Login” and sign-in to your account. Once you sign-in to your account click on your email id which is given at top right side of the page then a drop down menu section will be appeared. On that drop down menu section click on link ACCOUNT SETTINGS. On Account Settings page find section NAME and then click on link SET NAME give at right side of the section. Once you click on link SET NAME a drop down section will be appeared then click on link DELETE ACCOUNT. Now you will be taken to delete account page here type your PASSWORD choose your REASON FOR DELETING YOUR ACCOUNT and then click on button DELETE to remove your account permanently. For more information on How to Delete G Cloud Account stay updated to this website.